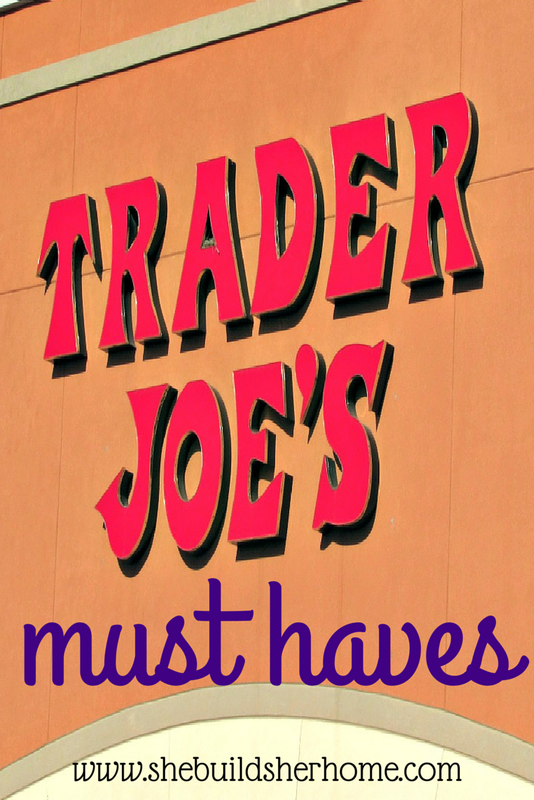 Are you a Trader Joe's fan? Our closest TJ's is about 2 hours away and I don't make special trips for it, but I try to stock up on some things when I happen to be nearby. I haven't spent a ton of time in the store, but I have compared prices on certain things that I feel are worth it when taking price and ingredients into consideration! For example, they have a good price on coconut oil, better than most local places, BUT I can get it at Aldi for over $1 less than TJ's, so that is not worth it for me since I can buy the exact same product with the same ingredients for cheaper. On the other hand, I can buy raw almond butter with nothing but almonds and maybe salt, for at least $2-3 cheaper than anywhere nearby, so that is something I think is worth it to buy several of and stock up on until I will be near TJ's again. So without further adieu, these are my favorite things to stock up on when I'm near Trader Joe's! As I mentioned above, one of the things I always stock up on is almond butter or other nut butters. They have a lot of fun variety ones like their Cookie Butter, but I love that I can just get nut butter with no other additives. I have a hard time finding them locally without added sugar, etc. and not paying $11+ per jar. I can get straight almond butter for about $6 a jar at TJ's. My next must have is Brown Rice & Quinoa Fusilli Pasta. My whole family loves this pasta and at $2.99 per bag, it is about $1 less than I can get it locally. 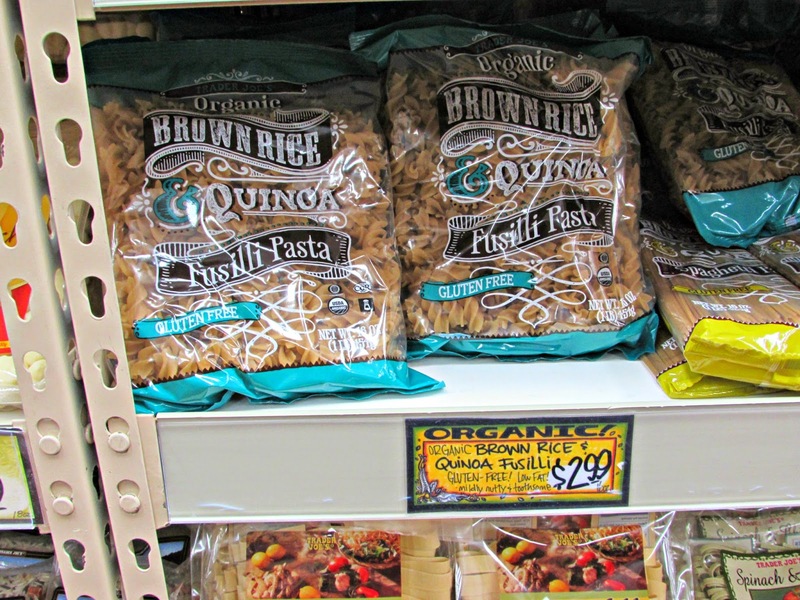 I also usually get a couple bags of just plain brown rice pasta that is even cheaper! Short of ordering online, I can't even find dried fruit that doesn't contain a ton of sugar! TJ's is just the fruit so I love it! I originally bought dried pineapple to make homemade Lara bars because I hadn't even been able to find dried pineapple at all locally. 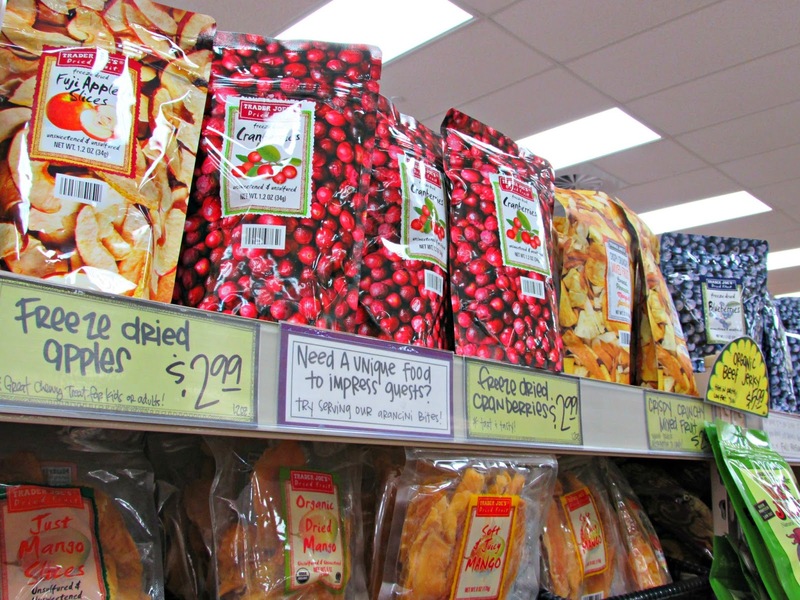 I now usually stock up on a few dried fruits each time. They have pretty much every kind you could think of and even a mixed variety. 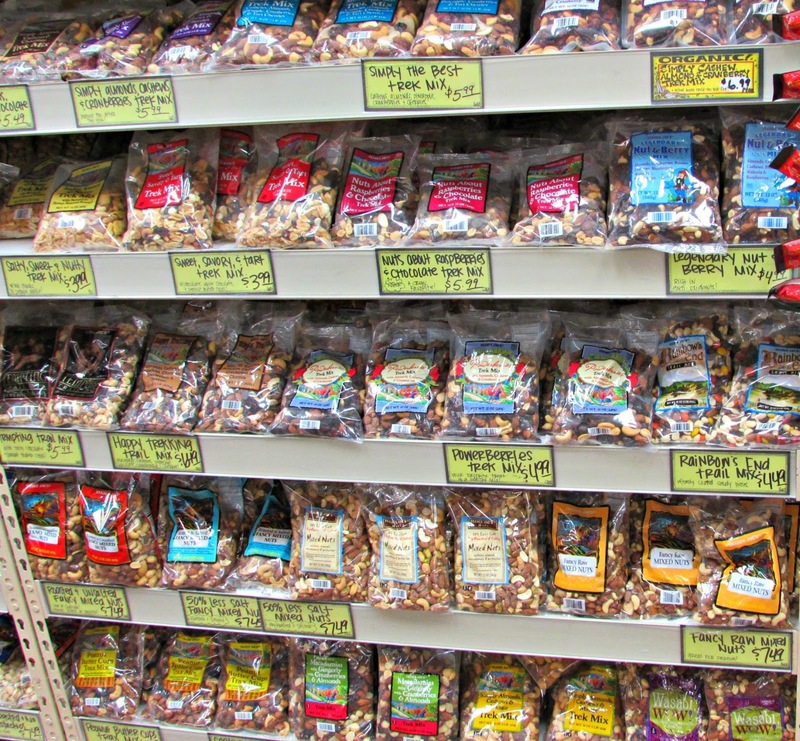 Nuts are also great at Trader Joe's. The best thing about them is that you can find them raw and with nothing else added. I can't typically get this anywhere locally! I'm not sure how much less expensive they are since I would have to order them in bulk online probably. This last time I got a bag of raw brazil nuts! They have tons of mixes and trail type mixes as well. 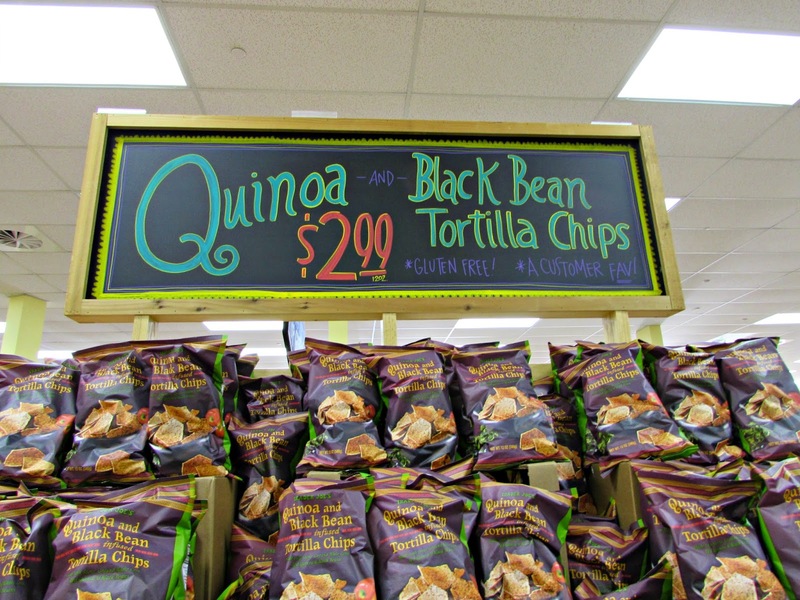 Quinoa and Black Bean Tortilla Chips are sooo yummy! We usually stock up with a few bags. They are great for dipping in chili, etc. or just to have plain or with salsa or hummus. 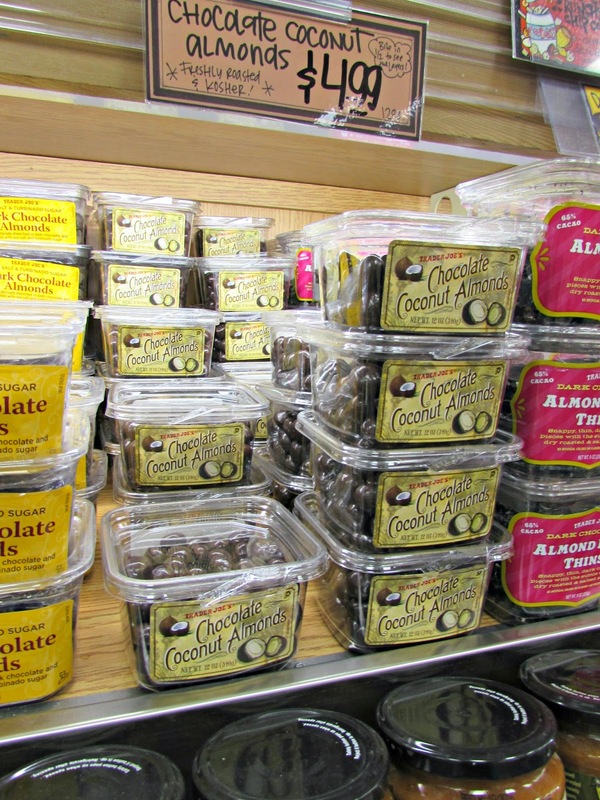 Last but CERTAINLY not least, these Chocolate Coconut Almonds are to.die.for. Be careful though, because they are addicting. Don't say I didn't warn you! But definitely get a few packages because they are so good! These certainly aren't healthy, but they are a splurge! I get the impression that some people are under the misconception that everything that Trader Joe's sells is healthy, so just to be clear. I know TJ's has a ton of other great products, but since I am usually out of town for another event I don't have time or access to bringing a cooler along, so I don't ever get produce, meat or dairy there, but I've heard they have good prices on those, especially for organic. 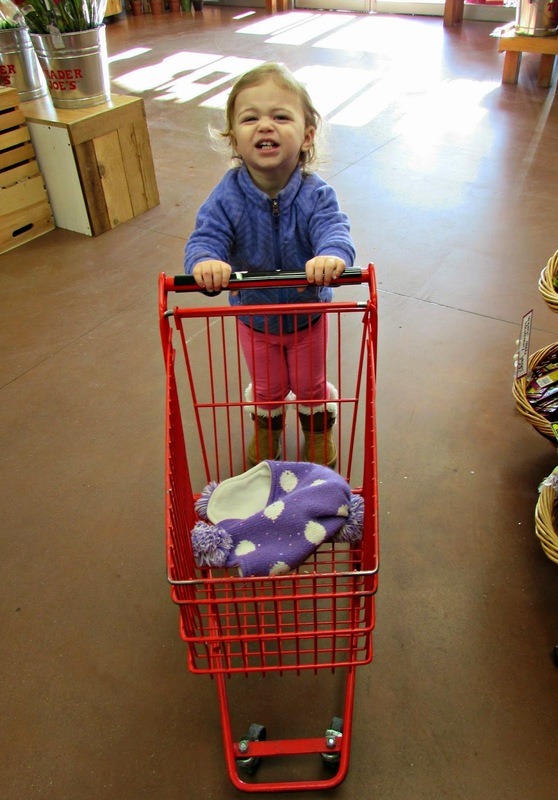 We also love Trader Joe's because of the adorable kid carts, of course. What are your TJ's must haves? Are there any other awesome products with great prices and ingredients that I'm missing out on? !